I did it, I officially finished my first half marathon!!!!!!!! I bought the blue shirt at the expo and the white one came with the race goodie bag. The medal? Well I earned it!!! The Disney Princess ½ marathon takes place over the course of a weekend, but like many other participants, I extended my trip to six days. ·In addition to being congratulated, you are referred to as a “Princess”. Where else will people call you princess? ·I read this over and over during my preparation for the race: DO A TRIAL RUN IN YOUR COSTUME! Did I? Of course not, I felt like it would have been so silly for me to run along my local trail in a tutu for 13 miles. However, I knew there was an important reason to do this. I had decided to make my own tutu (a little too long, I might add). The pieces in the front keep flying back in between my legs, it was like I had a tail! I spent a large portion of my run time pulling, lifting, wrapping, and tucking my fly-away tutu! ·I extended my trip or days after the race rather than before. I was worried about interfering with my training by going ahead of time and walking the parks for hours in addition to enjoying the many wonderful foods Disney has to offer. However, I had an injury priory to the race and hadn’t really trained much the two weeks prior anyway. I quickly learned that it was beneficial to get to Disney several days in advance. The few race participants that did so received privileges such as dinner with known runner and trainer Jeff Galloway! ·Pace yourself and enjoy the run! (unless of course you are going for a new PR [personal record]. There are characters all along the way for photo opportunities. The lines aren’t too long either. If you are in need of a little break, this is the time! Plus the photos are taken by hired professionals which are then posted on the site and available for ordering! ·The ½ marathon starts at 5:45 a.m., you will need to be in line for the bus between 3-4a.m. (last bus runs at 4 and this is for those staying at a Disney resort). It is a little chilly this early in the morning, so you will want to have on some layers. Wear a sweatshirt or sweatpants that you don’t mind giving up. Once the race starts and your body heats up, you will want to lose them. As participants run, they are stripping off the layers and throwing them on the side of the road. No worries though, there are employees walking around collecting the articles of clothing to donate to charity. I forgot to take a sweatshirt that I didn’t mind loosing and tossed out a fairly new one that I had purchased a few months ago. Luckily, I had gotten it on Black Friday and hadn’t spent much on it. Plus it was going to someone who needed it more than me. HAVE FUN AND EMBRACE THE MOMENT! Thousands of medals waiting to be earned. Congratulations to all of the Disney 1/2 marathon finishers! Celebrating my victory with my little guy! 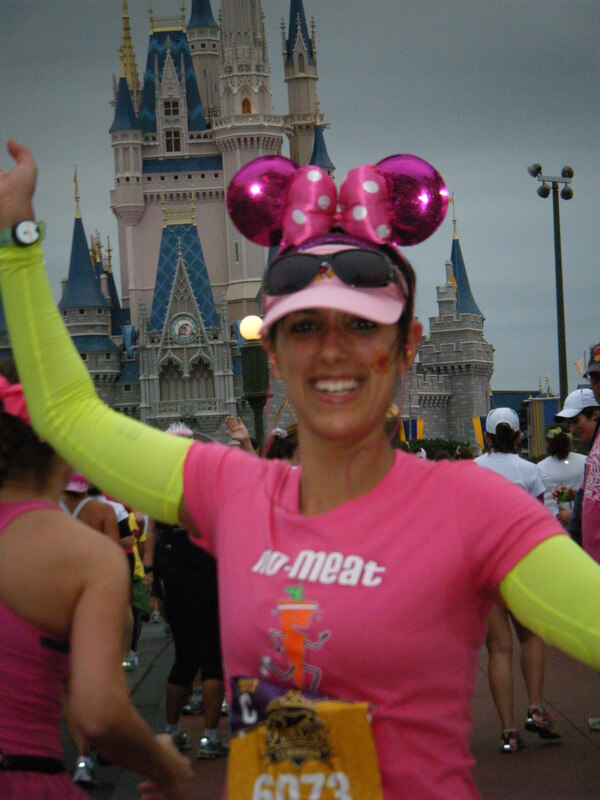 In addition to the half marathon, Disney held a 5K and Children’s race. My son competed in a race of his own. They had races for children of all ages and his group completed the 100 meter dash. I was able to run with him (optional) and we had a blast. I’m so proud of my little guy! 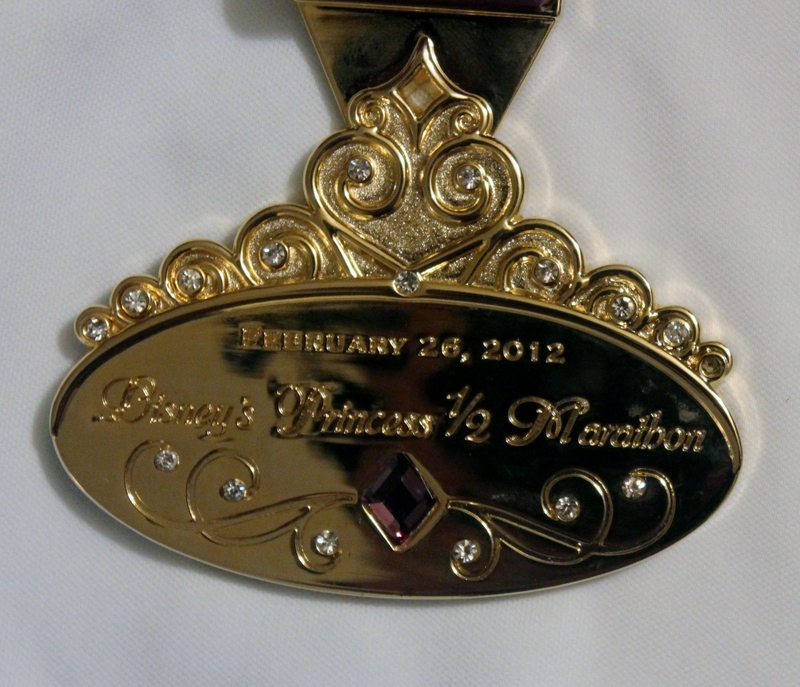 The Tangled 5K medal. This is a family event and was not timed. I think next year I will participate in this with my son and mom. Fun for the whole family! 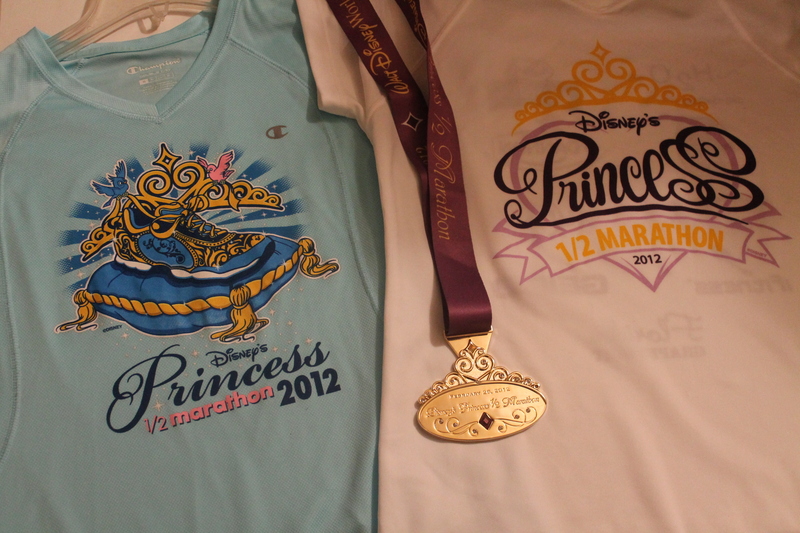 The Disney Princess Marathon Weekend Expo. Lots of goodies here! A view of all Disney Medals from races throughout the year. The Coast to Coast medal is all the way to the left and earned by those that complete a race in Disneyland AND Disney World within one years time. I’m going for one next year!